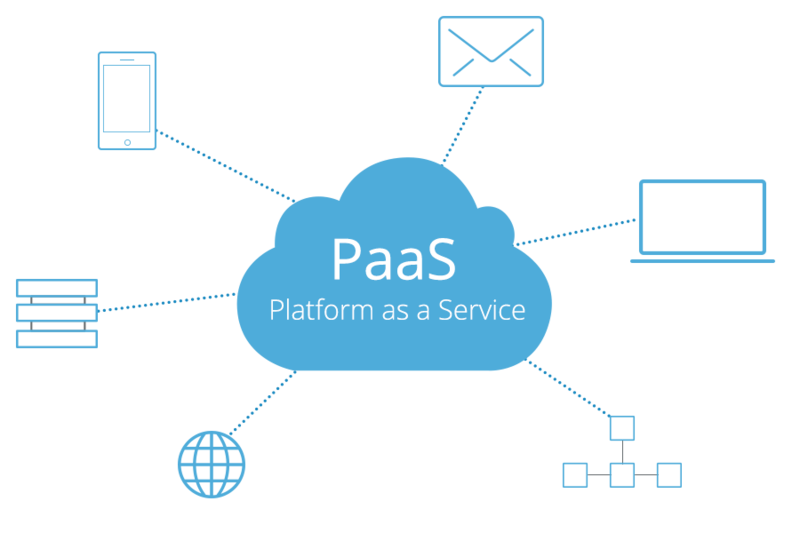 Platform as a Service (PaaS) is a complete development and deployment environment that is based in the cloud infrastructure. The services provided by PaaS enable the users to create and deliver everything ranging from simple cloud-based applications to cloud-enabled business enterprise applications. A PaaS provider hosts the hardware and software on his own infrastructure. As a result of this, there is no need for the users to invest in installing in house hardware and software for developing or running new applications. PaaS is the perfect platform for the developers for building applications and services on the internet. All the PaaS services are hosted in the cloud and all the users and developers can access them simply through a web browser. PaaS is not an alternative for the existing IT infrastructure of a business. Instead, a business utilizes the PaaS platform for working with important services like Java development or application hosting. A PaaS provider ensures that a resilient platform is provided to the users that can be used for installing applications and data sets. With the help of the PaaS platform, users can completely concentrate on creating and running the applications instead of building the underlying infrastructure and maintaining it. Several PaaS products are crafted for software development. A PaaS platform ensures compute and storage infrastructure along with features like version management, test editing, compiling, testing services etc. These prominent features help the developers for creating new software within a short span of time and by ensuring complete accuracy and efficiency. PaaS provides a framework to the developers to build upon and to create customized cloud based applications. Developers can create applications with the use of the built-in software components. The amazing cloud features like high-availability, scalability and multi-tenant capacity are all available with the PaaS environment that reduces the amount of coding required to be done by the developers. Tools provided with PaaS enable the organizations to analyze their data in order to detect insights and patterns for predicting the outcomes. This helps in forecasting and improving the product design decisions and for other important business decisions. PaaS offers many other services that can enhance the efficiency of the applications like directory, security, workflow and scheduling. Software developers can utilize the PaaS service for creating an application that can be offered through the internet or for creating a software that can be sold out of the box. The web developers can work with the individual PaaS environments for developing and testing the applications and hosting the websites. Through the PaaS technology, businesses get the advantage of establishing their own internal software especially for creating unique testing and developing environments. Developers utilize the PaaS technology right from the conception of the applications to application development, testing and deployment. Users can select from a wide range of features, they have the power to work with the features that they actually need and discard the others. Therefore, users can select a service that suits their requirements perfectly. Users generally have to pay for PaaS on a subscription basis and they only pay for the actual use. Distribution of the underlying resources results in affordability. Also, this model enables the individuals and organizations to make use of the sophisticated development software, business intelligence tools and analytics tools that are highly priced. PaaS services are upgraded on a regular basis, the existing features are upgraded and improved and new ones are added. The complete PaaS infrastructure and applications are managed and support service is available for everything. The effort and time put in coding can be reduced for the developers in terms of coding new applications as PaaS comprises of pre-coded application components. With PaaS, developers can create applications that can be used on multiple platforms including mobile phones. PaaS service providers will offer you application development options for multiple platforms like mobile devices, computers and browsers thereby creating cross-platform apps quickly and easily. As developers can rent the virtual PaaS infrastructure, cost effectiveness is ensured. There is no need to invest in purchasing any hardware or for employing any expertise for managing it. PaaS features can be changed or modified according to the needs of the users. With the help of the features offered by PaaS, it is possible for anyone to create an application simply by using the web browser with the help of the one-click functionality. 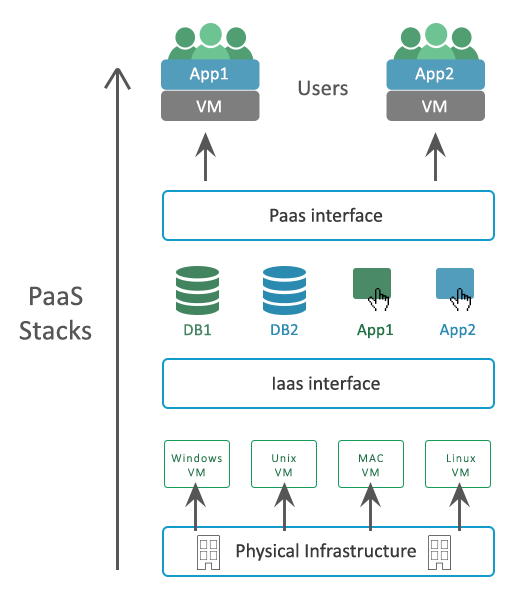 PaaS offers all the necessary features for supporting the complete lifecycle of a web application right from creating, testing and deploying to managing and updating the application within the integrated environment. With the help of the internet, developers based in several geographical locations can collaborate and work together on the same application. Customers have complete control over the tools that are provided with their PaaS platforms and they can develop a platform that suits their needs. Security is offered that includes data security, backups and recovery.